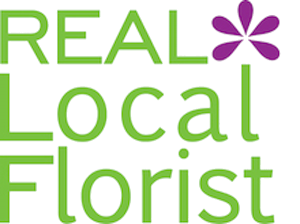 Best Performing Florist Websites - gotFlowers? Designed for retail florists, a GotFlowers website is by far the most powerful and easy to manage website compared to all other websites in the floral industry, with flexible and innovative features that allow florists to increase the value of an order. Built on a patented platform, a GotFlowers website supports schedule driven technology to automatically activate and inactivate categories, products and business rules. Want to sell your own products? Tired of spending countless days to update your website every time before holidays? 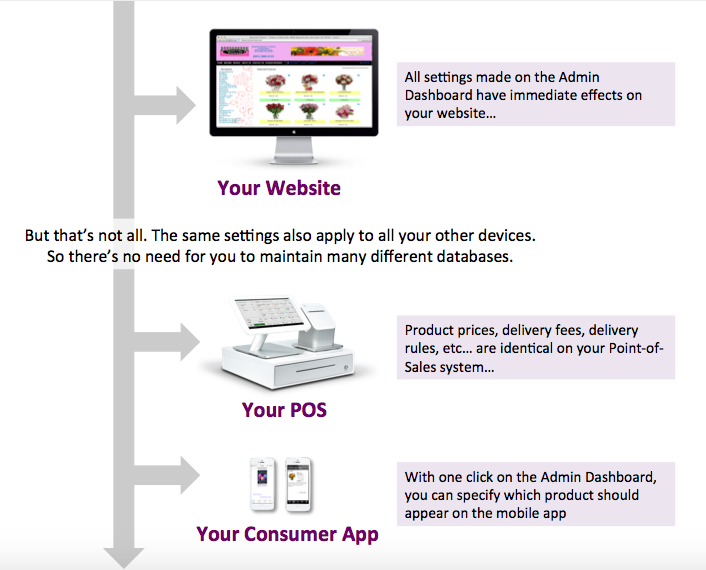 With our central Admin Dashboard, your can easily manage all aspects of your website. Best of all, no knowledge of web programming or expertise is required. Just manage your business rules with simple commands in English. Increase Sales and Improve Profitability – With many, money making features such as the Personalized Greeting Card, distance-based, rush delivery fees, or to monetize your the Fiorella ribbon. These are some of the features that help grow the order value but also lets you retain more of the transaction money with low transaction costs and no middlemen or intermediaries. Ease of Website Management – With an easy-to-use Admin dashboard, you can change the content and behavior of your website with just a few clicks. No knowledge of web programming or expertise is required. Changes made via the Admin dashboard are immediately visible on the website. Quick Product Upload – With our GotFlowers app, you can now take a picture and a video of your floral arrangement and have it available for sale immediately. Powerful and Elegant – With direct feedback from retail florists, almost every repetitive task related to the website has been automated. The GotFlowers platform equips retail florists with the means to perform these tasks effortlessly. For example, we observed that florists would take many days or weeks to get their products ready for their website before a holiday event. With GotFlowers, you can do all that in a matter of minutes. You can change prices, issue promo codes, set holiday delivery fee increases, move holiday products and special packages onto the homepage. Once the holiday period passes, business rules and prices revert automatically. SEO Powered – Gone are the days of just relying on meta keywords and meta descriptions for SEO. Today’s SEO involves many sophisticated and multi-faceted techniques. At GotFlowers, we employ all of the latest techniques to ensure that your shop appears in top positions of the first page in Google Search results. And equally important… to stay relevant with each buyer’s unique profile. Cloud-based Advantages – Unlike the majority of the static websites, our websites are developed and deployed on a highly scalable environment with automated backups. 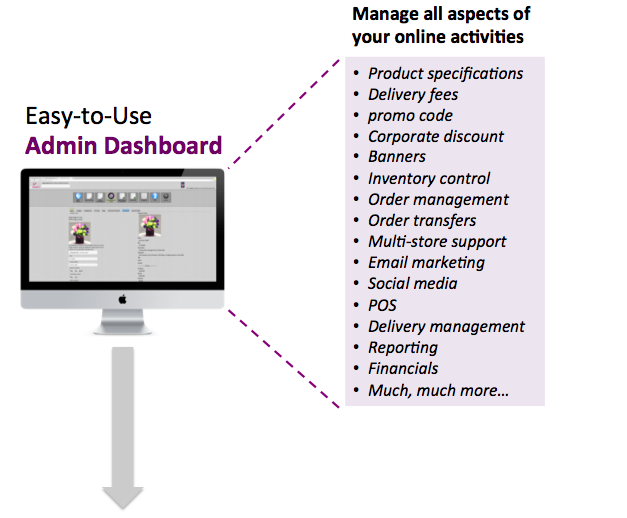 The Administration Dashboard is offered as a cloud-based service. Why should you care? Imagine the ability to access and to make changes to your website from anywhere, at any time. Imagine never having to backup your data. Imagine never having to pay for expensive software or hardware upgrades ever again. And that is exactly what you get with GotFlowers. Efficiency of an All-in-One Platform – All of our products (Website, POS, Consumer app, Automated Social Media, Email Marketing, etc) are tightly integrated on the same platform. When these applications talk to each other, they result in improved efficiency and savings. A simple edit or inclusion of a new business rule is propagated to all applications. For example, when you change the price of a product, that price change is seen not only on your website but also on your POS and on the consumer app.